AAA has released new app called TripTik Mobile for iPhone and iPad touch. 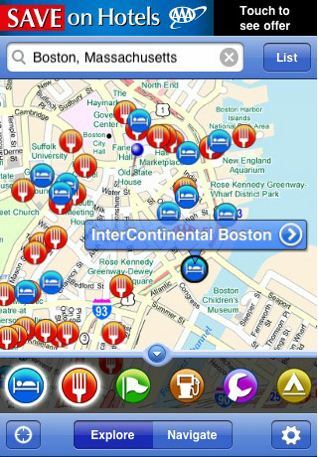 App is GPS-based mobile version of AAA.com's TripTik Travel Planner. TripTik Mobile is FREE app and serves for comparing of fuel prices at the stations close to home or on the road. Near the users location is available to see several points from AAA approved hotels, restaurants, attractions to AAA offices. Additionally the app offers access to updated gas prices, directions, maps and AAA travel information. TripTik Mobile will provide you with all travel related necessary information, so don't waste time Download NOW as the summer is on the way!